3 of 4 crafts on Gazette665 today! Wreaths are a popular holiday decoration. Whether they’re artificial or natural, they are a traditional feature on doors and walls. They are also placed on gravestones of loved ones to remember them during the Christmas season. (An organization called Wreaths Across America helps place evergreen wreaths on tombstones in National Cemeteries across the country). In With Gladness’s short story on the Vietnam Conflict, a Christmas wreath plays a special role in the tale. 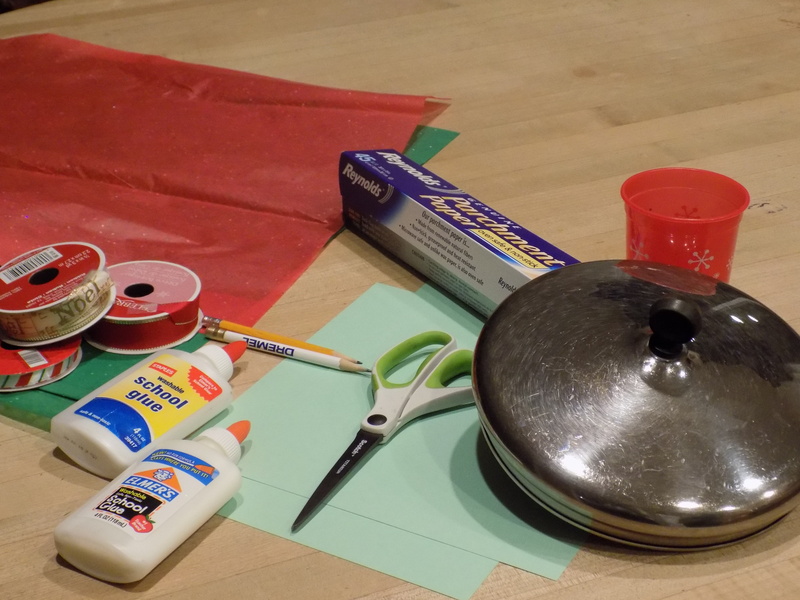 For this project, we’ll show you how to make a wreath out of tissue paper. Our test crafters had way too much fun with this decoration, and we hope you’ll enjoy it also. 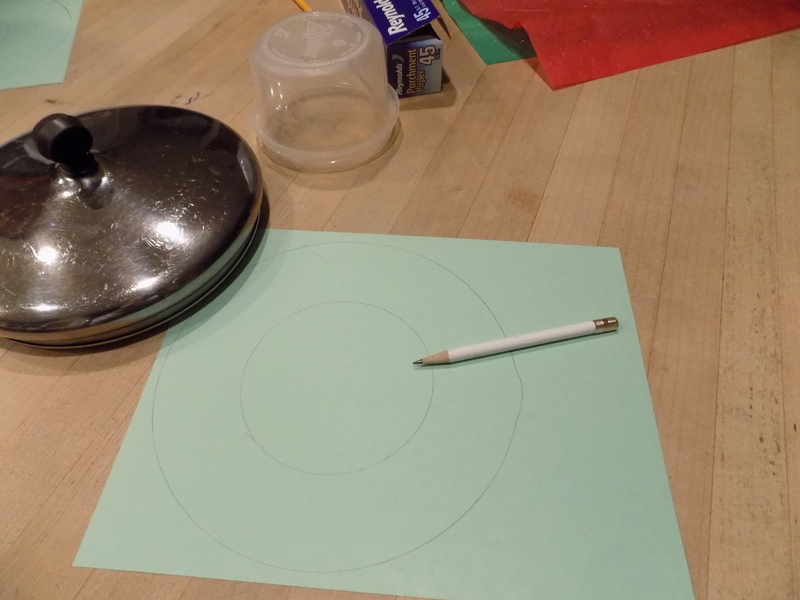 Trace a large circle on the cardstock. Trace a small circle inside. (See photo). 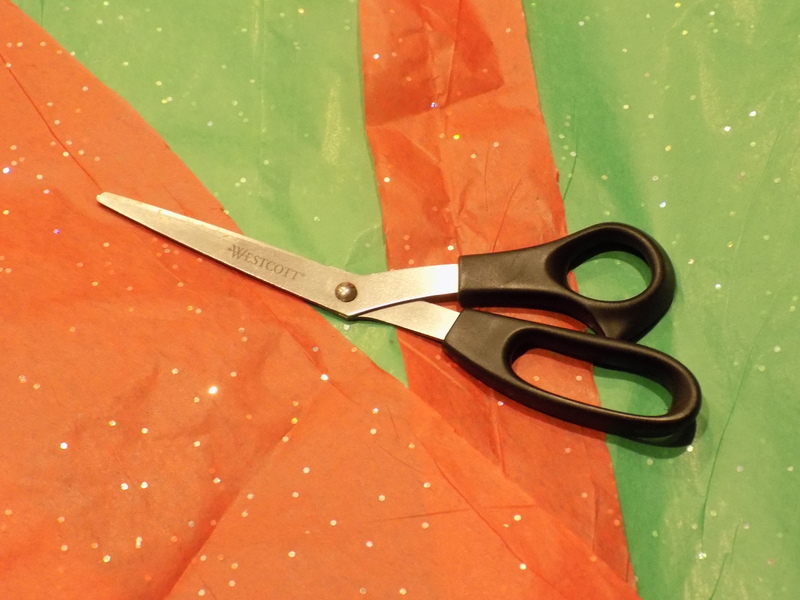 Cut the tissue paper into small squares. They don’t have to be perfectly even…trust me. 2” square or a little bigger should be about right, but you don’t need to measure. 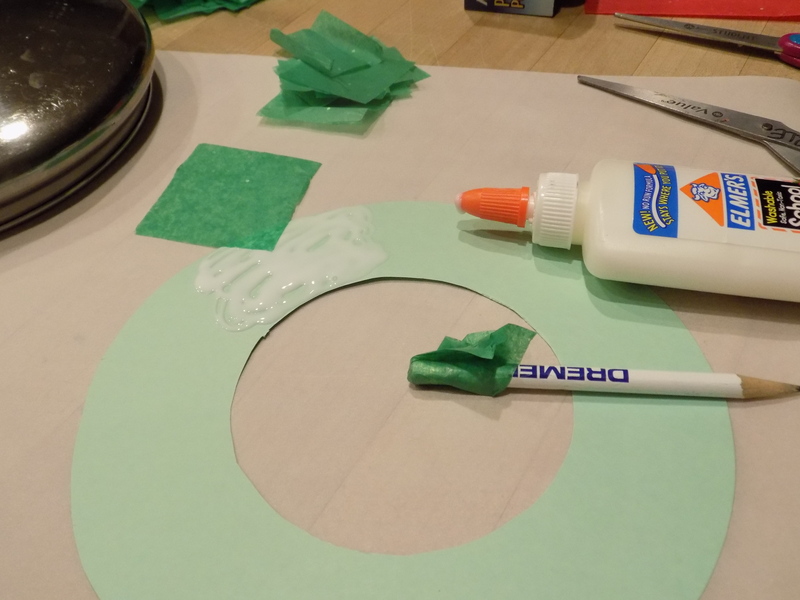 Squeeze a “moderately generous” amount of glue on a small section of the wreath form. Wrap a tissue paper square around the end of the pencil and stick it onto the glue. 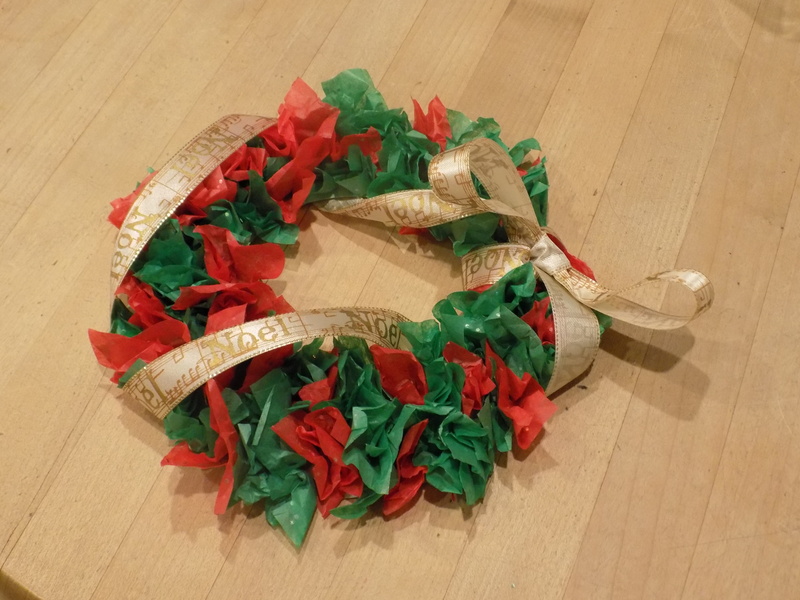 Continue – alternating red and green paper as you like – until the wreath is filled. Let it dry. (I had to let mine dry overnight). Tie the ribbon around the wreath. Glue or tape it in place from the back. Your wreath is ready to hang up and enjoy! P.S. 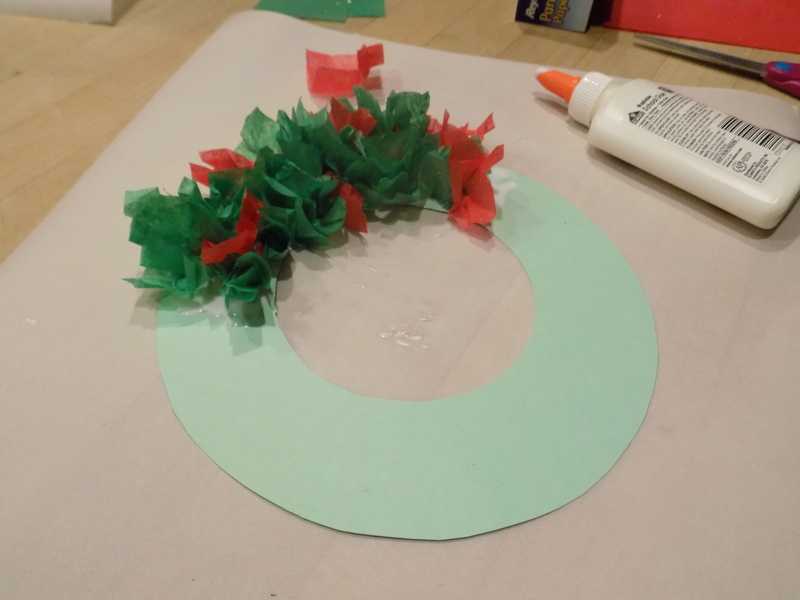 Helpful tip – cut a small wreath form for younger children. The tissue paper can take a while to glue on.